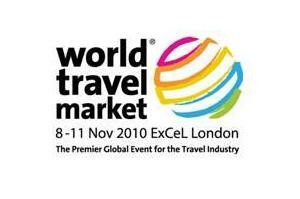 UKoutbound travel receipts will return to pre-global downturn levels in 2014, although the number of travellers will still be more than 10% lower than in 2008 – research released at WTM Vision –Londontoday reveals. Euromonitor International Head of Travel and Tourism Research Caroline Bremner told delegates at WTM Vision Conference this morning,UKoutbound receipts in 2014 would hit $38.6 billion, topping 2008’s $38.4 billion. However, Bremner said this return to 2008 receipts levels would not be due to a return to pre-global downturn outbound tourism, but instead would be due to a change in mindset for theUKoverseas holidaymaker looking for value instead of price. The research – The Travel Industry Global Overview - revealsUK outbound departures are likely to plateau at around 60 million in 2015. Predictions for 2011 are for 56.2 million Brits to head overseas, slightly up on 2010’s 56 million. The London Olympics year will see 58.3 million departures; 2013 will increase slightly to 58.7 million with a better jump in 2014 to 59.6 million. However, Bremner said a higher spend per outbound trip, as consumers opt for value for money rather than price alone. In 2008, widely seen as the last year before the crisis, there were 66.9 million departures from theUK, equating to an overall expenditure of $38.4 billion. While the departure numbers remain well short in 2015, expenditures will recover to pre-crisis levels in 2014 when outbound expenditures hit $38.6 million. Destinations such asTurkeywill remain popular due to its value for money proposition.Turkeyhas benefitted from the shift away from North Africa following the political unrest in the Middle East, withGreeceandSpainalso taking up the demand.Spainis holding up, despite the strength of the Euro, but has discounted heavily with the tour operators to drive this demand. Outbound operators are trying new sales techniques to boost business, Bremner added. Online travel agents and airlines are using flash sales and promoting deals, while airlines and chain hotels are making their loyalty schemes work harder to deliver guests and repeat custom. The report reveals theUK’s two big tour operators – Thomas Cook and TUI are both continuing to work on differentiating their product with a view to getting customers to trade up. The package holiday has seen a revival since the crises, with all-inclusive deals helping to attract budget-conscious travellers. WTM Vision Conference –London, organised in association with Kingley Event Management and sponsored by corporate insurance, re-insurance and services company Mapfre Assistance.